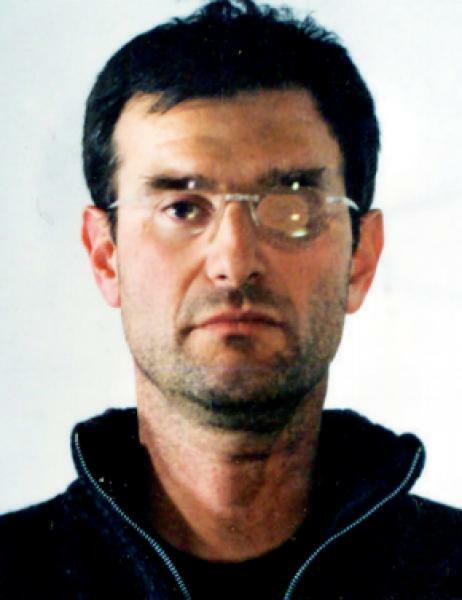 Massimo Carminati, the “Black” of De Cataldo’s novel, former militant of Avanguardia Nazionale, and in the 1970s and 80s the connecting link between the NAR terrorist group and the Banda della Magliana, implicated in several murders, including those of left-wing activists Fausto and Iaio, killed in 1978, and the journalist Mino Pecorelli, and also in the investigation into the massacre of Bologna in 1980. His name appears, too, in the investigations into match-fixing that have rocked Italian football in recent years. Having fled to Japan after being given a 10-year sentence for the crimes of the Banda della Magliana, Carminati returned to Rome soon afterwards to resume his place among the entrepreneurs, mafiosi, politicians and members of the secret service. His position in the Roman underworld may help to explain why the numerous investigations and trials have never had any serious consequences for him. 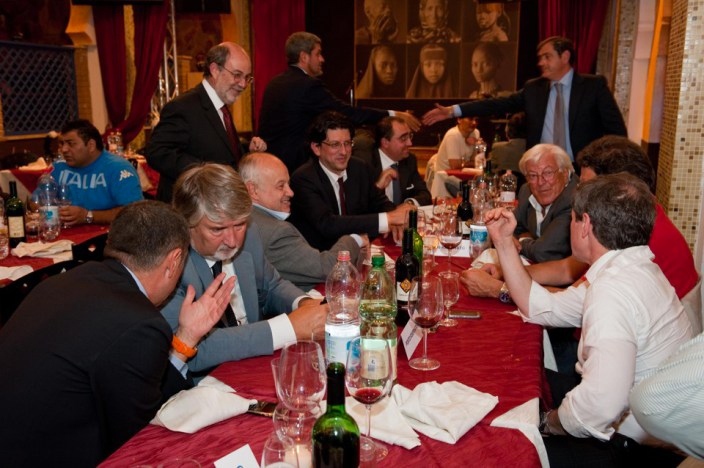 In a 2010 photograph of a dinner organised by Buzzi at a reception centre run by the cooperative, just published in l’Espresso, several executives and politicians – from right and left – involved in the inquiry share a table. They range from Gianni Alemanno to Daniele Ozzimo, the councillor with responsibility for housing in Ignazio Marino’s council, who has just resigned following the investigation. With them is Giuliano Poletti, the Employment Minister, who at the time was president of the Cooperatives League. This entry was posted in Mafias, New Fascism, Political parties, Politics, [en] and tagged fascism, Gianni Alemanno, Ignazio Marino, Mafia, Massimo Carminati, migrants, refugees, Rome, Salvatore Buzzi. Bookmark the permalink.